This time of year always has me longing for Hawaii. When I think of Hawaii...coconut comes to mind...it always brings me back. These days it would not be unlikely to see me out with my husband on a cold winters night....he enjoying a glass of Pinot and me sipping on a pina colada. It is the simple pleasures in life that make living so fun. 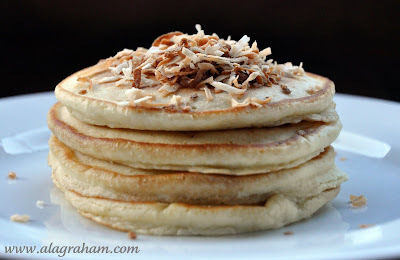 Since I try to refrain from drinking a pina colada for breakfast I found this recipe for coconut pancakes to get my fix. These are delicious! And the toasted coconut will make your house smell awesome! Preheat oven to 350 degrees. Sprinkle sweetened coconut flakes on a baking sheet and bake for about 10 minutes, stirring often until toasted. Whisk together coconut milk, canola oil and 1 egg. Combine with dry ingredients and just barely mix until there are no lumps. then flip to other side and cook until done. My first pancake is usually the sacrifice pancake that I end up eating because it is the one where I can gage the right heat for the following pancakes. Mix equal parts honey and coconut milk for the syrup. Serve warm pancakes, topped with syrup and toasted coconut. Note: Pancakes freeze great! I store simply store leftover pancakes in a plastic bag in the freezer for future use. OMG - these sound like heaven!!! I'm totally making them this weekend - yum! The pancakes and syrup sound absolutely delicious. LOL on drinking one for breakfast! ha, lovely idea for a pncake flavor. wow!!! They look really delicious!!! Hawaii are in my mind too.......hoping I'll can come over day one day!! Holy cow lady - I have to have these! Coconut milk is my new love and I can't believe that it's used both in the pancakes themselves and also in the syrup. How insanely awesome is that? Definitely going to give these a try. I'll pretend I'm in Hawaii when I'm eating them! P.S. Wanted to tell you that the cookies were a big hit at the concert last night. They were gone in less than 5 minutes. My Mom and I are already craving them again. Coconut pancakes?! Why haven't I heard of these?! They look wonderfully light and fluffy. Where can I find coconut milk? A health food store? You can find coconut milk in a can in the Asian section of your grocery store. I just made these pancakes and they are soooo good. I used fresh coconut milk. Yum! I took pictures and I'll blog about it soon! I have to make these! 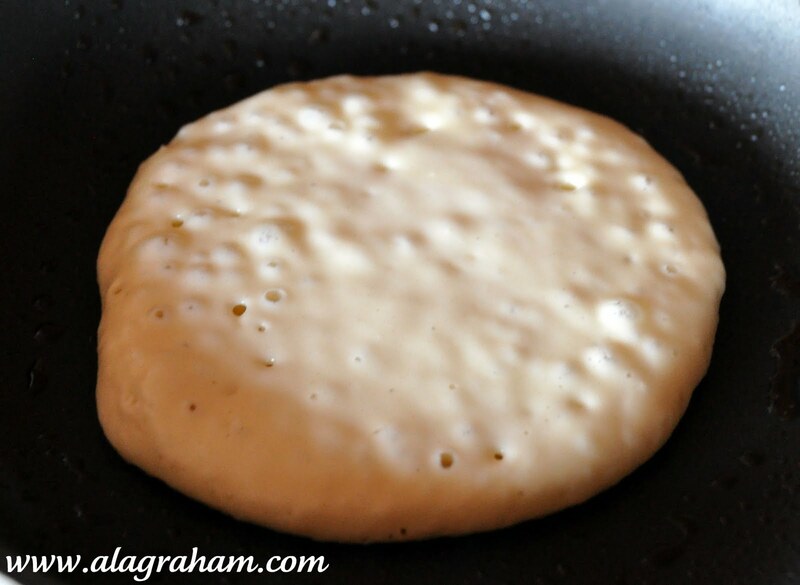 I love using coconut milk in anything and pancakes seem like they would be especially yummy! 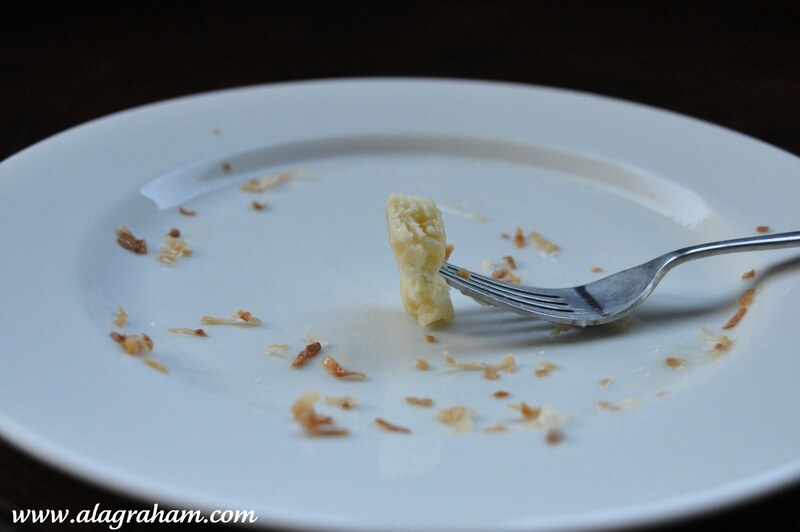 Hey Tracy, my post about the coconut pancakes is up. I can't wait to make another batch! It's good that they freeze well.